We’re bringing back one of the favorite chefs from our Summer PAIRINGS! 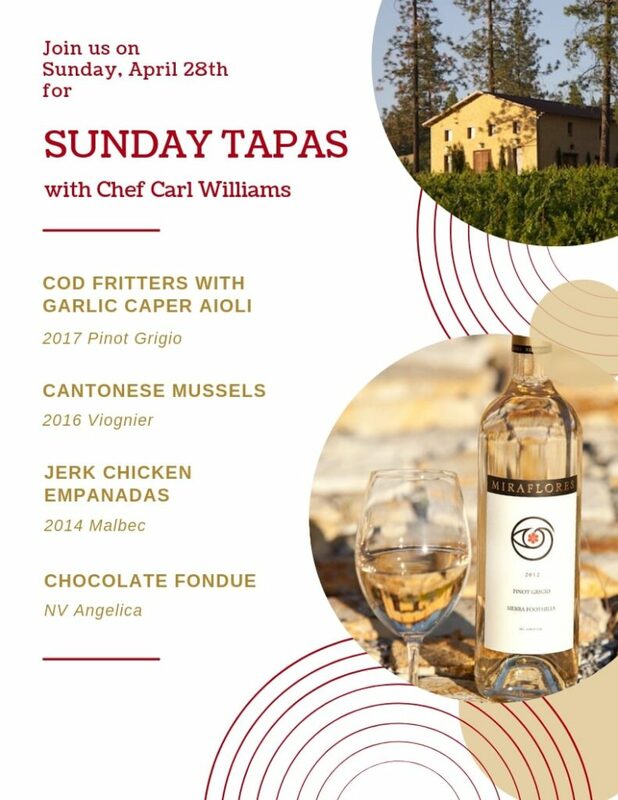 Chef Carl Williams will be here one Sunday per month, in our Barrel Room, February, March, and April. Next up: April 28th! 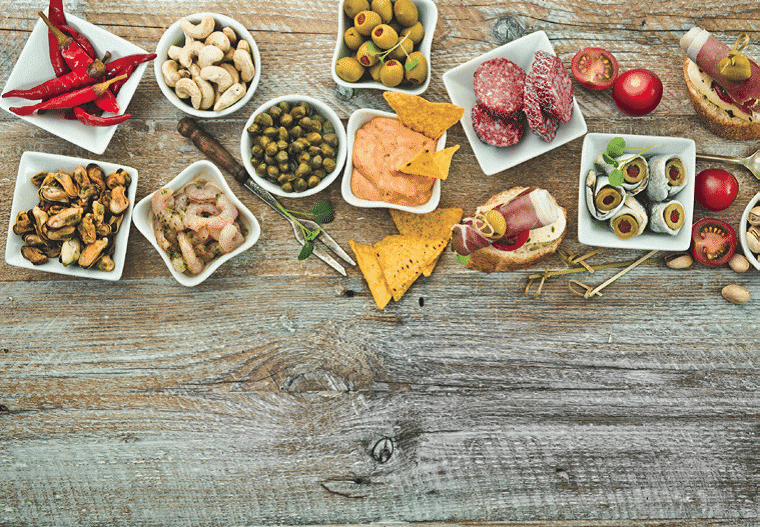 He’ll be serving four types of delicious tapas, of course paired with Miraflores wines! $39 Club Members and $45 General. Reservations required as space is very limited. Make your reservations early! One hour seatings at 11:00am, 12:00pm, 1:00pm, and 2:00pm (limited to 10 people per seating).